Professor Bernard, who teaches at Springfield College, became intrigued with the lyrics to the Christmas song, The Twelve Days of Christmas, when he first noticed the virtual redundancy of partridge and perdrix, the Latin word for the bird, leading him to surmise that the words in a pear tree could well have been Norman French for `en a perdrix,’ or words to that effect. He allowed himself to succumb to the intrigue and, using his imagination and talent for research, traced out the other eleven days’ worth of gifts as a solution to a conundrum. Although there are several versions of the song, its earliest record is in a 13th-century manuscript in the library of Trinity College, Cambridge. Bernard not only carefully documents his ideas about the various interpretations that might be given the curiously anomalous references in the song but suggests possible variants. At bottom, his conjecture is that the entire song relates to a pilgrimage to Jerusalem from England, where (two) turtle doves is interpreted as `de tour Douvres,’ whither one must go to cross to France, to `lors de Liban,’ yielding (eleven) lords a-leaping. Each step of the way the reader is increasingly persuaded that Bernard has taken the right road, but I shall leave the remaining details of the expedition to buyers of the book. The entire theory is so engaging, charming, and delightful that one hesitates to find fault with any one of it; doing so would be like denying the existence of Santa Claus. 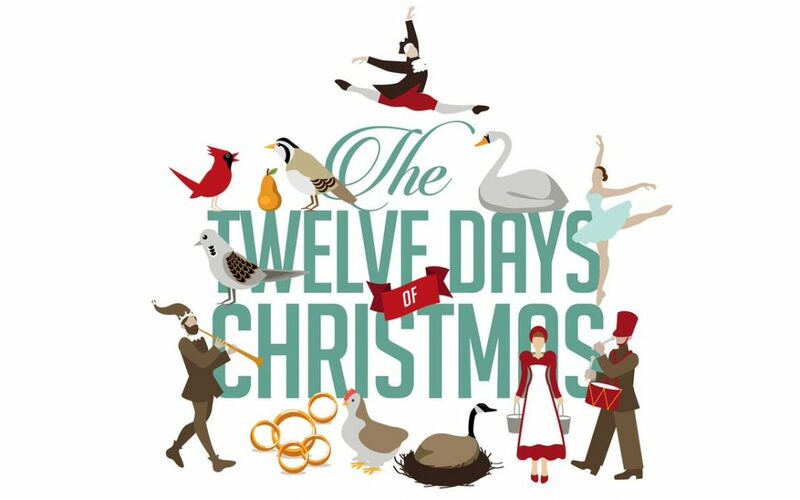 Each of the Twelve Days is illustrated by suitably warm and friendly drawings by Scott Partridge (warranted personally by Bernard to be neither a nom de plume, de guerre, nor de chanson).